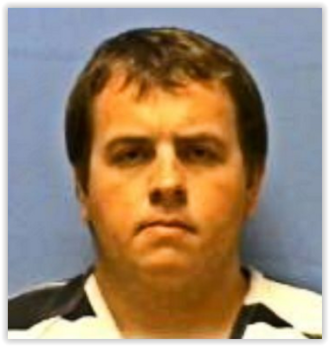 An argument between two farmers on the border of Arkansas and Missouri over the pesticide dicamba led to the shooting death of one and the arrest on murder charges of the other, according to local media. 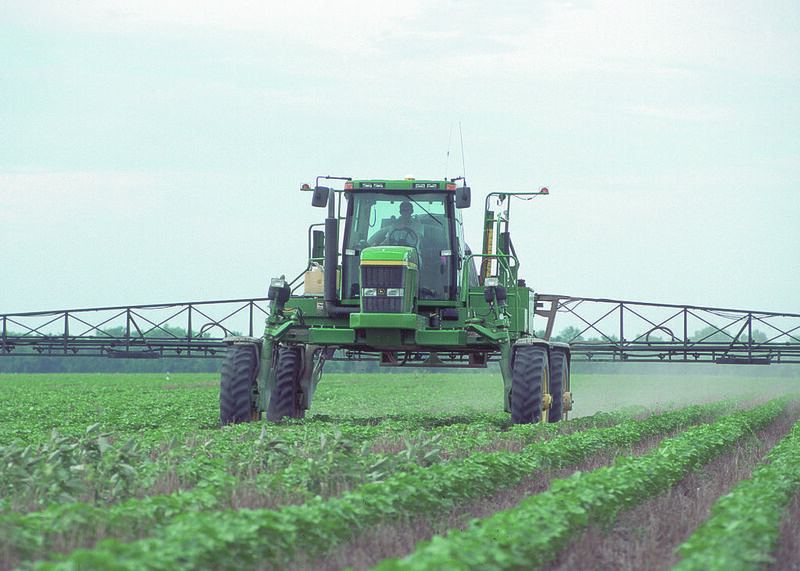 A field in Louisiana being sprayed with pesticide. Allan Curtis Jones, 26, a farmer from Arbyrd, Missouri, was arraigned this past Tuesday in Blytheville District Court in Arkansas on a first-degree murder charge and was released on $150,000 bail, Mississippi County Deputy Prosecuting Attorney Curtis Walker tells Modern Farmer in a phone interview. Jones has no previous criminal history, Walker says. Jones allegedly shot Mike Wallace, a 55-year-old soybean and cotton farmer from Monette, Ark., just over the Missouri border, after the two met along a stretch of road near Leachville, Ark., at Wallace’s request on Oct. 27. The two had argued over the phone about the pesticide dicamba before meeting up, Sheriff Dale Cook told KIAT. Wallace had previously complained to the state Plant Board about his soybeans being damaged by drifting dicamba, the Arkansas Democrat-Gazette reports. There had previously been issues with dicamba being applied without permits to crops on a nearby farm at which Jones was an employee. Allan Curtis Jones. Source: Mississippi County Sheriff’s Office. According to a news release by the Mississippi County Sheriff’s Office, Jones allegedly told deputies he and his cousin, whose name was not given in the release, met up with Wallace to discuss the dispute concerning the alleged spraying of dicamba on the farm where Jones works. When Wallace grabbed Jones by the arm during the argument, Jones pulled out a gun and shot the older man, who was unarmed. Jones’ cousin called 911 and deputies found Wallace dead by the side of the road when they arrived. Jones’ case will be tried in Mississippi County Circuit court. His next court appearance is on Dec. 30, the prosecutor tells Modern Farmer. The shooting comes amid ongoing issues with farmers who say their crops were damaged due to drifting dicamba, a broad-spectrum herbicide used on some GMO soybeans and cotton that can kill other crops that aren’t resistant to the chemical. Over the summer, more than 200,000 acres of non-dicamba resistsnt soybeans in Arkansas, Tennessee, and Missouri were damaged. In Missouri alone, there was dicamba damage to more than 42,000 acres of soybeans, peaches, watermelons, peanuts, alfalfa, and other crops, according to an EPA compliance advisory report issued in August. The problem began when Monsanto released its new dicamba-resistant soybeans for the 2016 growing season that are only supposed to be sprayed with a new formulation of dicamba that is is less prone to drifting because it doesn’t easily vaporize. The new formula hasn’t yet been approved by the EPA, and although Monsanto said it explicitly told farmers not to use the older formula of dicamba on the the new seeds, some farmers did not heed the warning. Just last month the EPA served several warrants as part of a probe into the alleged misuse of the herbicide by farmers in the southeastern Missouri counties of Cape Girardeau, Dunklin, New Madrid and Stoddard, according to the Progressive Farmer website. The damaged crops have pitted farmer against farmer and strained relationships in the region, especially in light of the fact that insurance companies won’t compensate farmers for losses caused by wrongful or “off label” herbicide applications due to drift, the St.Louis Post-Dispatch reported in October.